This diet born in Miami was created by Dr. Arthur Agatson in order to help obese patients. Little by little it became known given the good results of those who tried it, and above all, when several celebrities confessed to be following it. 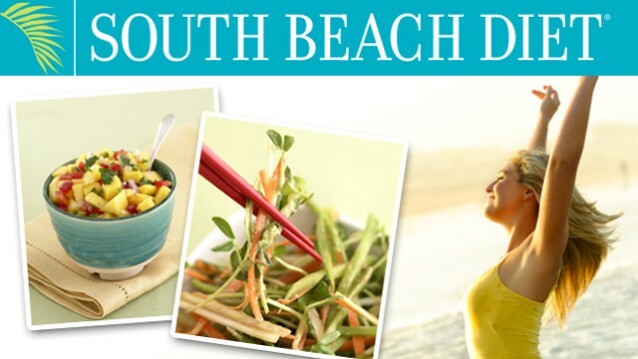 Although it was not its initial intent, South Beach Diet gained fame as an ideal diet to show off a perfect body on the beach. Although its name makes us believe otherwise, it is not a miracle diet or an ultra-fast diet, but it is intended to change your eating habits, for healthier ones that, in addition to making you lose weight and, later, keep you in your ideal weight, will help you feel better. Among the basic principles of this diet is that of not going hungry, which we all look for when it comes to losing weight in a diet regime. It is a diet low in simple carbohydrates. It is flexible: you can eat the foods you like in normal portions. Very simple. There is no need to count or measure much. It basically consists in choosing the foods from a list and eating what is in it. Do not go hungry: There is the possibility of eating six times a day. It is good for people with a poor metabolism. Reduces the risk of heart disease and diabetes. After a first phase, the diet follows in general terms the basic principles of a healthy diet. Large groups of foods are eliminated and abundant fruit, vegetables, and low GI carbohydrates are recommended. It promotes the consumption of healthy carbohydrates such as bread, rice, and wholemeal pasta. It is stimulated to reduce the consumption of refined sugars. The consumption of whole carbohydrates in the diet allows reducing anxiety. It is not suitable for people with kidney problems or diabetes. It does not promote a balanced and healthy diet. The feeding plan does not allow to educate the patient completely about all the elements that should have a good diet. It is not indicated for any person, for example, it is not convenient for children, adolescents, diabetics and kidney patients, among others. The use of the glycemic index. Agatston relies heavily on the glycemic index for the evaluation of food. First phase very restrictive, which could discourage some people to the diet. On the other hand, it is short term, and the author does not recommend that they stay with her more than 3 or 4 weeks at the most. Since there are no guidelines regarding the number of carbohydrates to eat, “carbohydrate accident” may also occur, depending on the selection of dietary foods chosen by the individual.